The Brits Who Fought For Hitler. 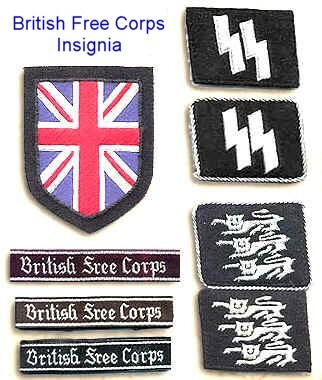 Insignia of the ‘British Free Corps’, former prisoners-of-war who enlisted in the infamous Waffen SS. As a freelance scribbler and long-time student of military history I love finding the more overlooked or forgotten aspects of the subject. For instance, the popular narrative of the Second World War holds that the British people pulled together, fighting as one for a common cause. The BFC were British troops, former prisoners-of-war, recruited in their camps by the Waffen SS. The BFC was originally Amery’s idea but, given his recruitment efforts were farcically unsuccessful, the unit was turned over to the Waffen SS in the hope that they would run it better than Amery (not difficult). Amery’s original idea was to recruit thousands of British prisoners ranging from committed Nazis and Fascists to disaffected soldiers, those whose anti-Communism outweighed their patriotism and so on. Recruiting foreigners into the SS wasn’t nearly as rare as you might think. Scandanavia produced the ‘Viking’ Division, there were several thousand Indians possibly motivated by Indian nationalism, a Muslim division active in the former Yugoslavia and even Russian prisoners choosing to enlist. Far from an entirely Nazi unit with strict racial and religious selection criteria, the SS were far more flexible than many might believe. With their previous success at recruiting foreigners, the SS thought that recruiting British traitors would be equally fruitful. It wasn’t. The BFC never had more than 27 members at any time and only 60 or so ever joined at all. Many who did claimed later that they joined either to escape or to gather intelligence and desert at the earliest opportunity. Throughout its (mercifully brief) existence the BFC never numbered a platoon, let alone a corps. The BFC didn’t last long, either. Originally named the ‘Legion of Saint George’, recruitment started under Amery in 1943. Thousands of leaflets were delivered to POW camps all over the crumbling Third Reich. Recruiters like Amery visited camps, dishing out gifts accompanied by their sales pitch. The sales pitch appealed more to anti-Communism than outright Nazi or Fascist sympathies and, like the BFC itself, recruitment never really achieved anything. It achieved so little that Amery was replaced as recruiter in late 1943 and the unit handed over to the Waffen SS. By 1944 it was obvious to any British prisoner that the war was already lost and it was only months before the ‘Thousand Year Reich’ would collapse. Even if there were many receptive prisoners they were highly unlikely to join an already-defeated side when they could simply wait for liberation, rather than risk being killed in action or captured and hanged as traitors. Enduring the POW camps was painful. 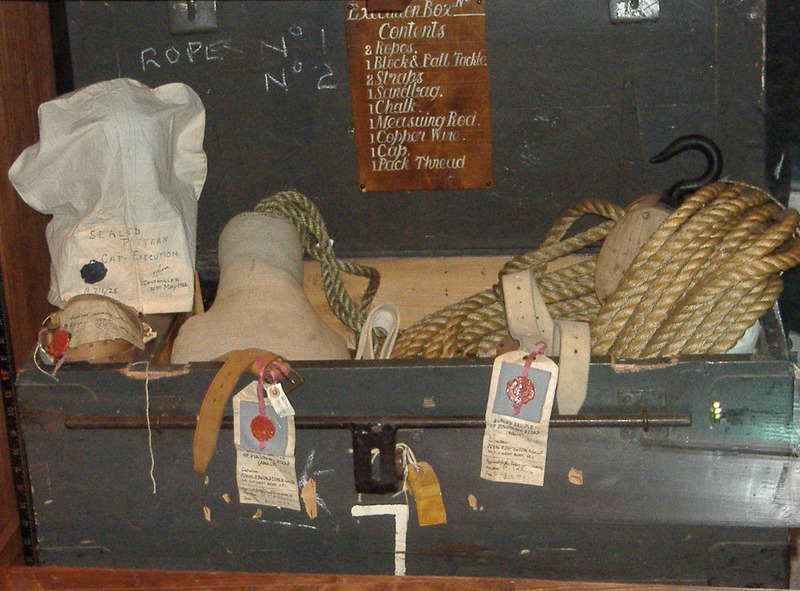 Albert Pierrepoint’s rope was worse. Recruitment wasn’t confined solely to British prisoners. Canadians, New Zealanders, Australians and others were approached. Only a handful ever enlisted, many who enlisted didn’t stay for more than a few days before returning to their camps. 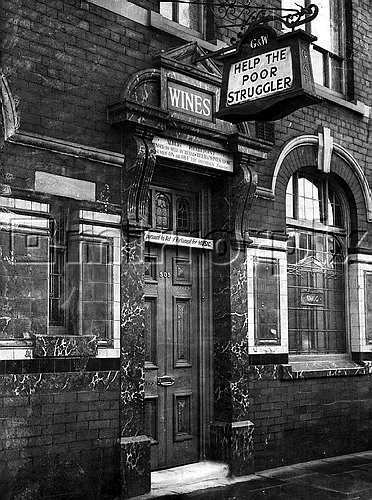 Very often, they simply signed up for a few days of forbidden pleasures (beer and prostitutes being the most popular) before deciding it wasn’t for them. The supposed Corps never even reached platoon strength at its largest. 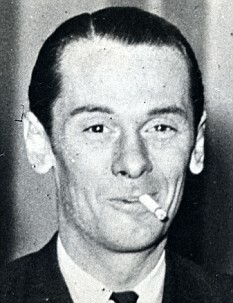 Nazi and traitor John Amery, founder of the British Free Corps. John Amery, like the ‘Cambridge Spies’ after the war, was an unlikely traitor. He was the son of one of Churchill’s War Cabinet, Leo Amery (then Secretary of State for India). His brother Julian did excellent wartime service in the British Army and, after John was condemned, did his best to secure clemency. Decades afterward he still refused to discuss his brother. John Amery was an arch-imperialist, a raving anti-Semite, an equally raving anti-Communist and a traitor. His far-right beliefs led him to claim he’d run guns to General Franco during the Spanish Civil War (this was a lie, but gained widespread belief). After bankruptcy in 1936 he moved to France, briefly visited Spain, became further embroiled in Nazi collaboration while living in Vichy France and made propaganda broadcasts for Nazi radio during the Second World War. His final treachery was forming the British Free Corps. He was, according to British upper-class stereotypes, the last person expected to turn traitor. But his family connections, his fictional gun-running for Franco (still ruling Spain at the time) and his brother’s efforts to gain clemency didn’t save him. Amery was captured by Italian partisans weeks before the German surrender and handed over to the British for trial on a charge of high treason. 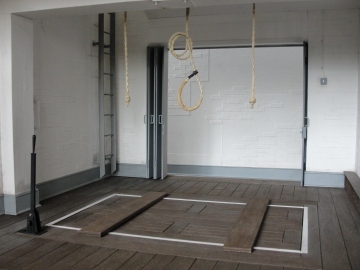 High treason carried a mandatory sentence, death by hanging. At first Amery tried to claim Spanish citizenship, arguing that as a naturalised Spaniard he was no longer British so couldn’t be tried for treason. His lies caught up with him. The Spanish government denied Amery had smuggled them weapons during the civil war. 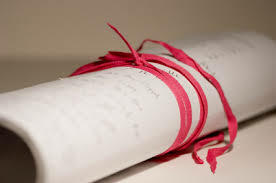 They also confirmed that Amery had taken some steps towards Spanish citizenship, but not all of them. Legally, Amery was still British. His defence simply didn’t exist. Amery knew it. In an almost-unheard of move he stood before Justice Humphries at the Old Bailey on November 28, 1945 and pled guilty. 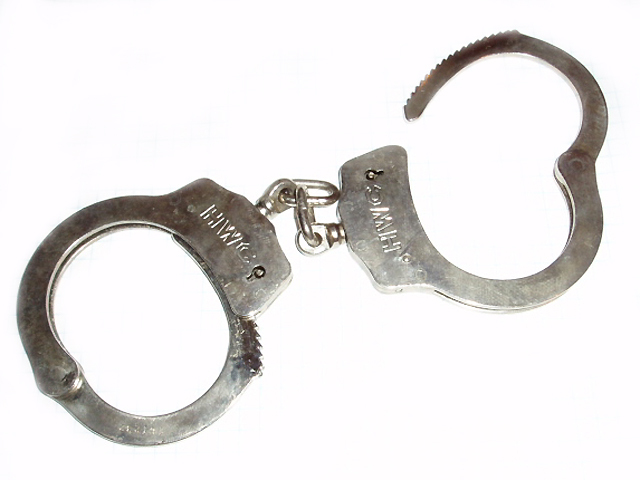 Humphries warned Amery of the mandatory death sentence before accepting the plea. Amery refused to change his mind. The trial lasted only 8 minutes before Humphries donned the ‘black cap’, a square of black silk traditionally placed on a judge’s wig before a death sentence. Amery’s brother Julian did his best for a reprieve. There was no chance of that. In 1945 the public mood was vengeful, especially towards homegrown traitors. At 9am on December 19, 1945, John Amery took his final walk. 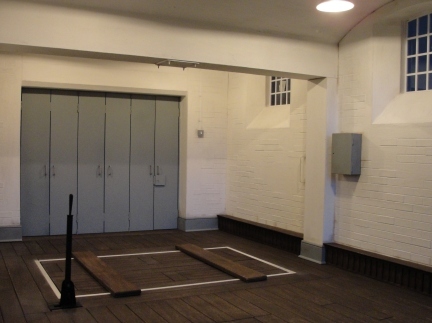 It was brief, seven steps from condemned cell to gallows. He walked firmly, unaided, as the prison clock started chiming the hour. By the time the chimes stopped, Amery was dead. It took only seconds. 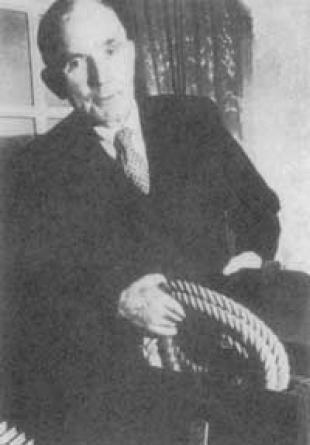 Chief executioner Albert Pierrepoint and his assistant Henry Critchell had achieved their usual speed and precision. After hanging for the traditional hour to absolutely ensure death, Amery was cut down. A post-mortem was performed and he was buried, as was traditional, in an unmarked grave within Wandsworth Prison. Oddly enough, it was Albert Pierrepoint who complimented Amery’s courage at the end. In an article written for the ‘Empire News and Sunday Chronicle’ but not published after official pressure, Pierrepoint described Amery as ‘The bravest man I ever hanged.’ Considering Amery’s Nazi beliefs, his treachery and that Pierrepoint hanged 433 men and 17 women in his career, perhaps the most positive thing about John Amery’s life was the manner in which he met his death. Author robertwalsh1975Posted on December 1, 2013 Categories UncategorizedTags Albert Pierrepoint, Britain, British Army, British Free Corps, British military history, capital punishment, crime, death penalty, execution, France, History, John Amery, Nazi, Nazis, Old Bailey, Politics, Second World War, SS, traitor, treachery, treason, true crime, Waffen SS, Wandsworth Prison, World War 2, World War TwoLeave a comment on The Brits Who Fought For Hitler.